Since 2011, this holiday has offered people a chance to express their love and affection for medievalists by, well, hugging them. 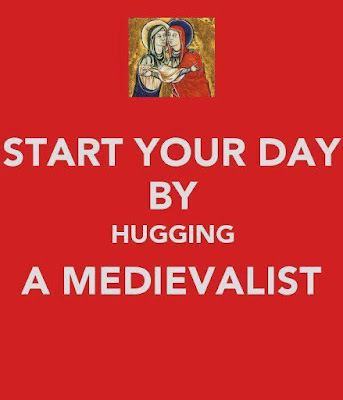 Or if you’re a medievalist, hug yourself! Or snuggle with your favorite medieval book! If there’s a special medievalist in your life, consider giving them a hug today—with their consent, of course. Once again, always seek consent before hugging. 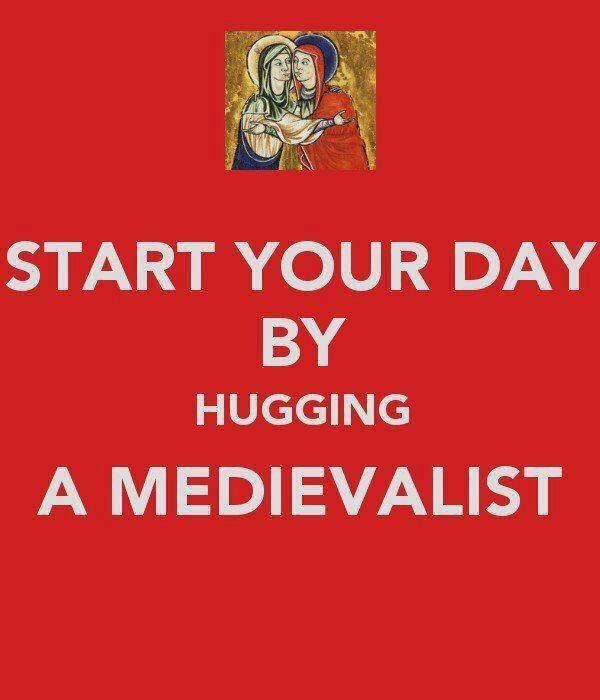 Here’s a useful and humorous guide on how to hug your medievalist today (Natalie Grinnell, 2014). P.S. Remember that MORE festivities will ensue tomorrow (on Whan That Aprille Day)! In a troubled and sad world, this day has been one of sharing fun, creativity and history with far-flung folk.